It's perhaps time for a quick update on last week's events. Website transparency: You may recall that more than a week ago, on 18 July 2015, 77 AFICS members signed their names to a letter requesting the AFICS President and Governing Board to post on the AFICS website, “in the interest of fairness, transparency and accountability” our letters connected to those of the AFICS leadership, posted on the website, concerning a request under the AFICS By-laws for a meeting to be convened on pension matters. We also asked for the FICSA President’s letter of 29 June 2015 calling for no new MOU and strict limits on investments by the Pension Fund in hedge funds (posted below). 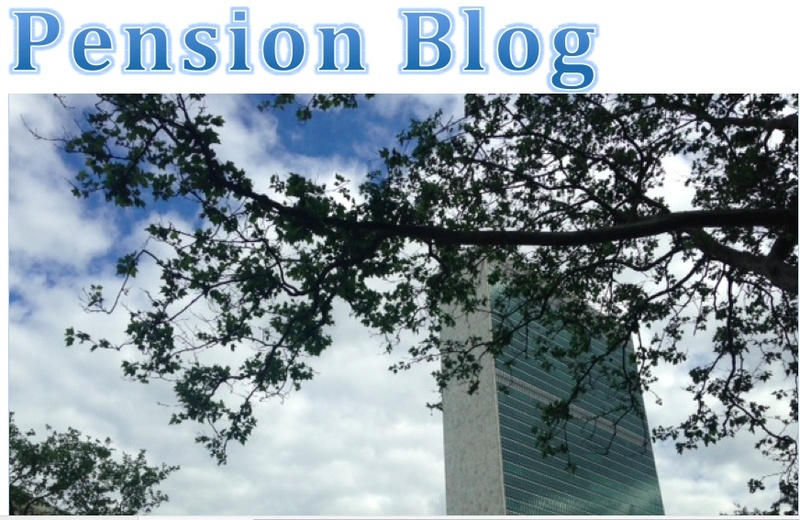 Petition and Pension Board meeting: Yesterday was the final day of the 62nd session of the United Nations Joint Staff Pension Board’s meeting in Geneva (20-24 July 2015). The petition signed by 3000 plus participants and beneficiaries was delivered this past week to the Secretary-General, to the Pension Board members, and FAFICS members, in separate communications (posted below). The petition asks the recipients to oppose any proposed changes that will breach the split structure of the Fund, or remove Pension Fund staff from the protections of the UN recruitment and promotion system, and any movement toward riskier investments such as in hedge funds. Presumably, the AFICS President, and her entourage, has traveled to Geneva in her dual capacity as AFICS and FAFICS President. One hopes that she has indeed followed through on her position as stated in her 2 July 2015 response to our letter. MOU and the pause that refreshes: Concerning the AFICS’ President’s statement in the same letter, that “The Governing Board is convinced that differences of opinion on HR procedures, including the MoU, are for the parties directly concerned, not retirees, to resolve”, as we've mentioned before, Mr. Takasu’s 10 July 2015 iSeek statement has soundly refuted this viewpoint given that he mentions retiree concerns as among the primary motivations for placing the MOU on hold, pending “dialogue and consultations” with the concerned parties (posted below). It’s anyone’s guess at this point as to when the “dialogue and discussions” will begin, who the participants will be, and how meaningful the consultations will turn out to be. Some have chosen to interpret Mr. Takasu’s message as “we’ll take a short commercial break and will be back to the show.” Others, ourselves included, prefer to take Mr. Takasu at his word, that he’s heard staff and retiree concerns, and has concluded that more transparency and dialogue are needed before finalizing the MOU. So all the talk about OHRM and OLA drafting the MOU is all well and good, but let’s be clear, thanks to Mr. Takasu, as to the real origin of those proposed changes. We applaud Mr. Takasu’s candor in his response to this question, as well as the integrity and sound management he demonstrates by his willingness to make space for more transparency and accountability in the process. 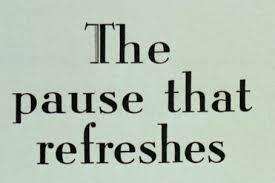 Not to mention that this “pause that refreshes” will also allow the USG for Management himself to be fully briefed and congnizant about the need for these changes in the first place, exactly what the proposed changes are, and what their impact might be on Fund staff and on the continuing sound and healthy functioning of our Fund. Now, that's the real thing!